Things looking a little different around here? In our mission to create the best load carrying equipment in the world, we’ve set out to achieve the best fitting, most comfortable pack harnessing systems possible. Over the last few years, we’ve spent countless hours measuring and fitting hundreds of different body types and logging the results to better understand how our customized fit interfaces with all different body types. The result has been a new sizing configuration that fits just about every human out there an unifies MYSTERY RANCH pack sizing across the board. Loosen shoulder straps. Situate waist belt comfortably on hips and tighten. 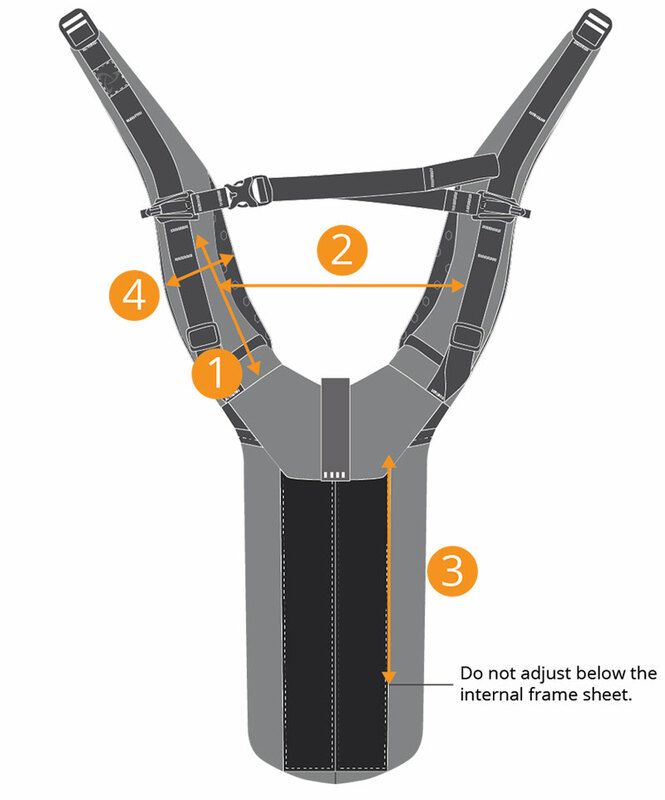 Using adjuster, break Velcro© bond between yoke and bag. Replace adjuster to its original location. 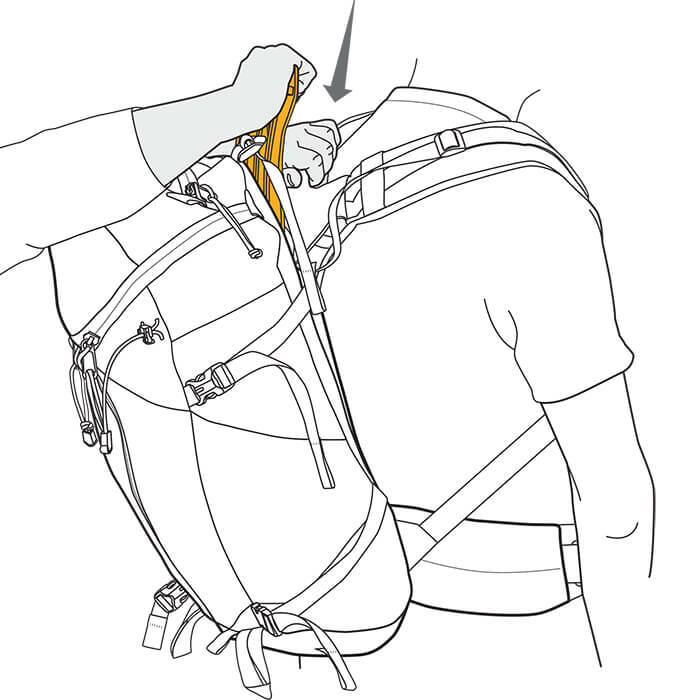 The adjuster doubles as a crucial piece of framing in your pack, and transfers weight through the torso and into the hips and core. Does the volume of the bag change when purchasing different size packs of the same style? No, the volume of the bag does not change. The only feature of the pack that can change between different sizes is the yoke and the waist belt. I am between sizes on the size chart. Should I size up or size down? We recommend sizing down if you are between sizes. 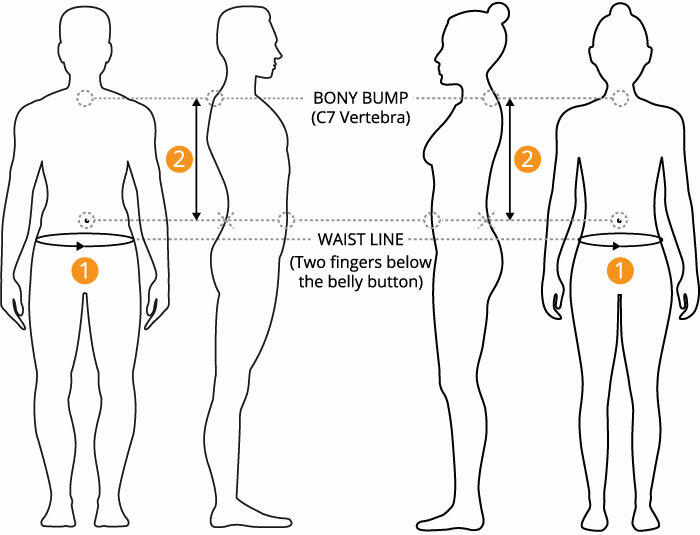 It is very important that the waist belt is able to securely tighten around your hips. If your waist belt is too big you will have a hard time getting the weight in your pack to transfer from your shoulders to your hips. Does the sizing take into consideration that I may be wearing extra layers? Yes, the size range that we list on our size chart is not the minimum or maximum adjustment for the yoke and waist belt. There is a little extra adjustment available to accommodate additional layers. The size that I need is not represented on the sizing chart. Do I have any options? For any additional questions on fitting, please contact Customer Service at 1.833.548.1999. 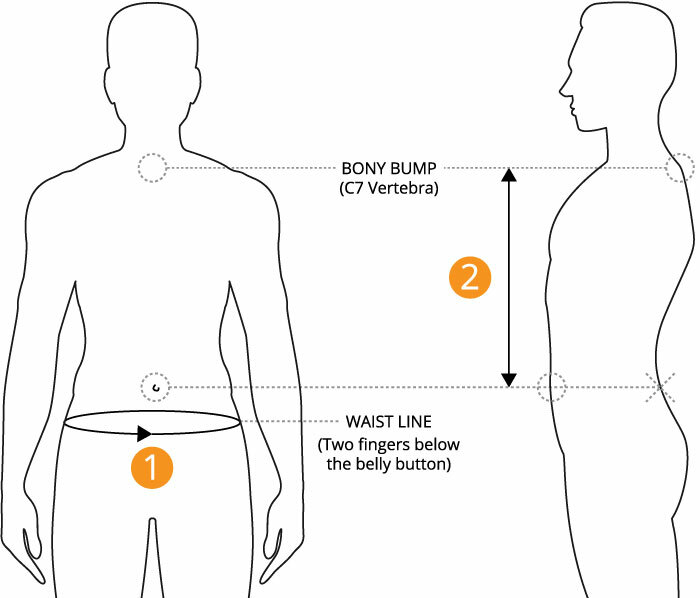 With the research collected from the Hip-to-Hip and Waist Circumference, we created a belt sizing line that quickly allows consumers to get into a belt size that will ensure they can adjust the belt to fit for their specific waist size. 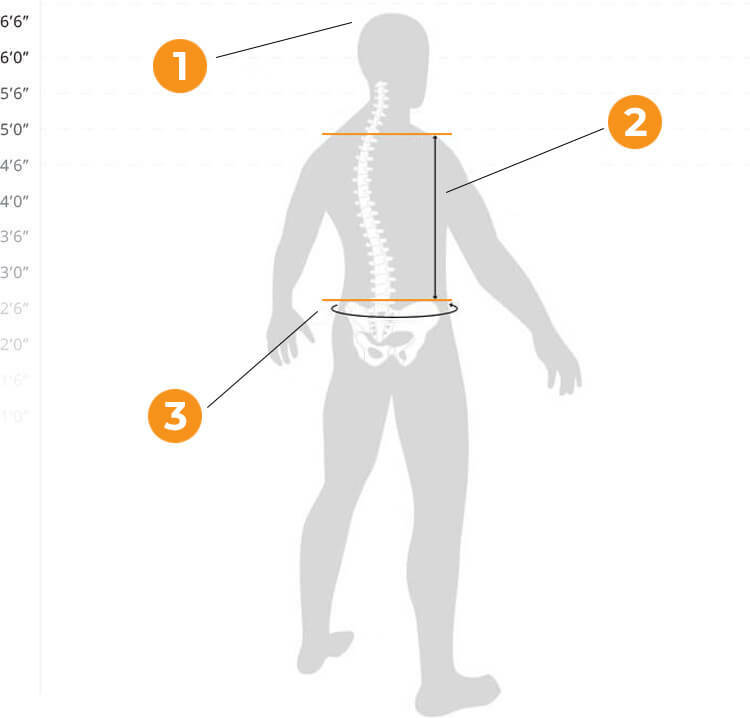 To create the best backpack fit possible, we measure hundreds of users across multiple sizes to map out the linear and non-linear variables that affect backpack fit. After careful analysis of the data, we translated the results into a nuanced size curve that allows us to fit virtually any body type. 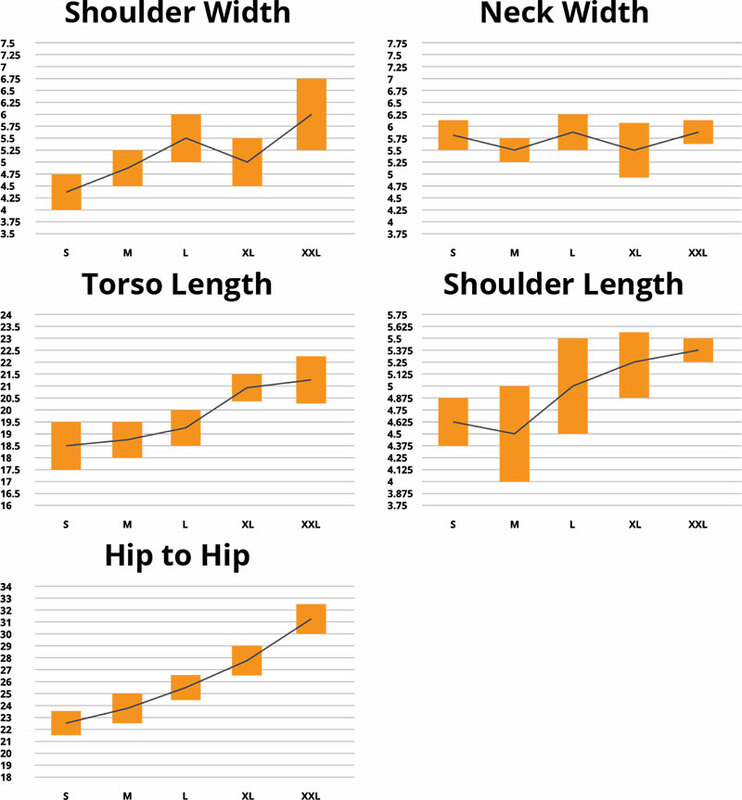 With the research collected from the Shoulder Width, Neck Width, Torso Length, and Shoulder Length, we refined our yoke shape and sizes to comfortably adjust to each consumer's body type. 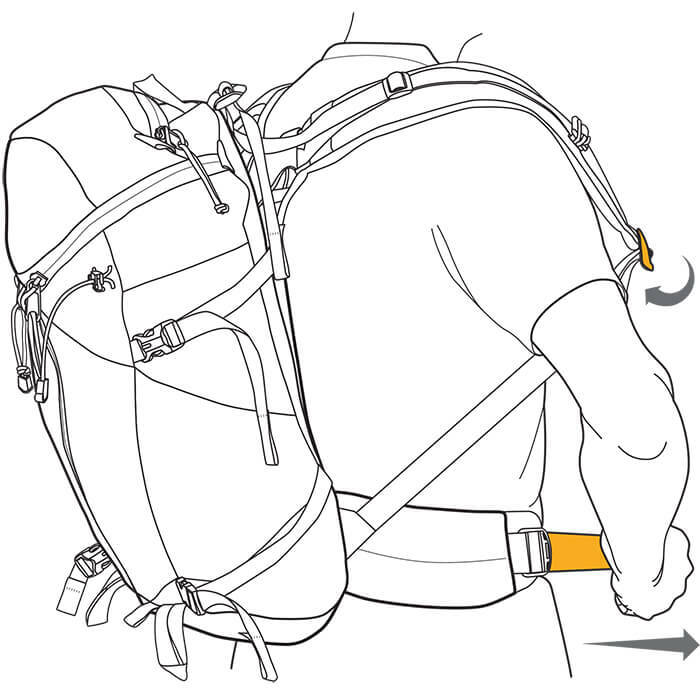 The key to a confortable pack load is the properly fitting backpack. 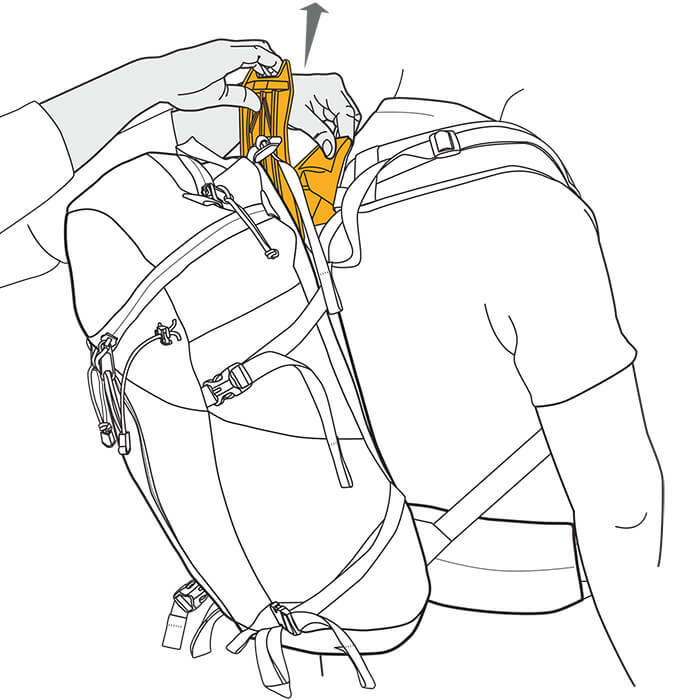 We've designed a more custom fit into our packs with simple sizing based off two measurements. 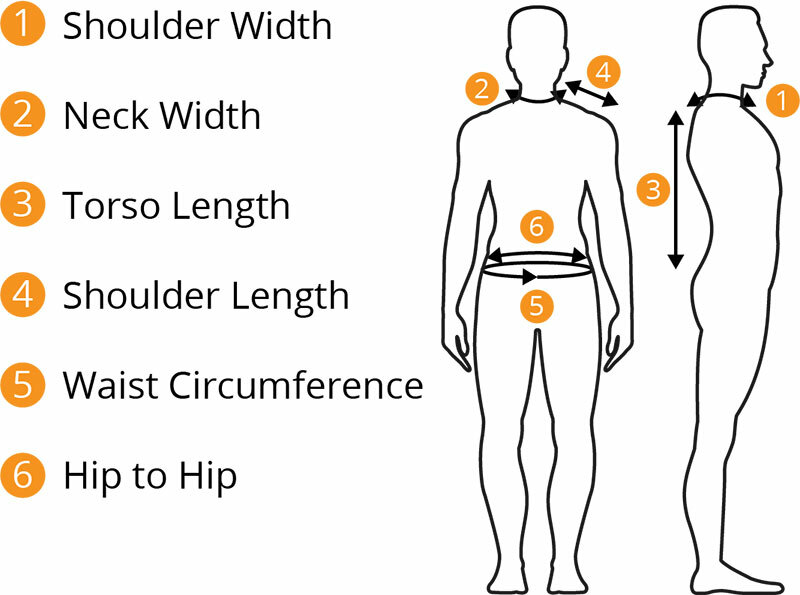 To find the appropriate size waist and yoke for your pack, collect the following two measurements, then reference the sizing chart below. 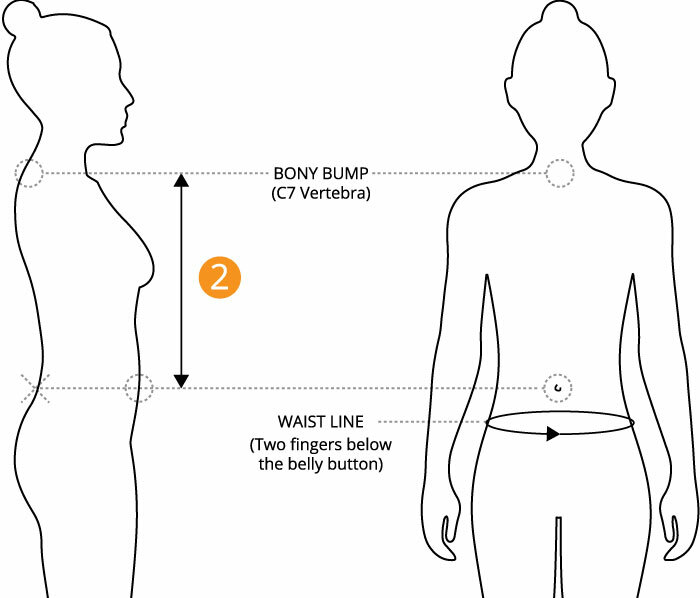 Measure around your waist just above the top of your hip bones (roughly two fingers below your belly button). 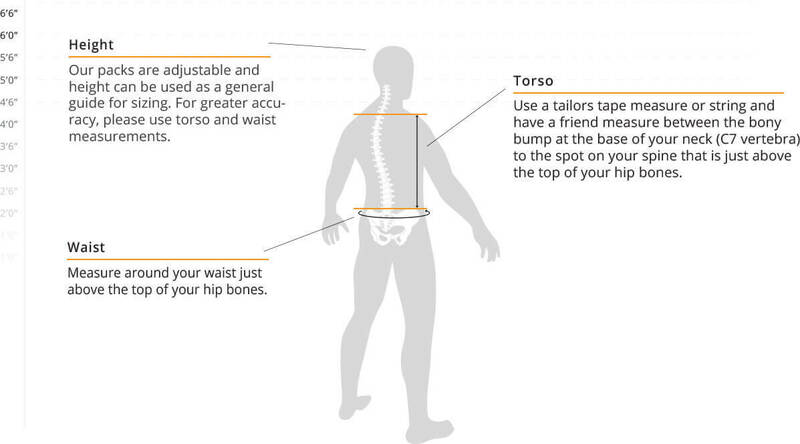 Use a tailors tape measure or string and have a friend measure between the bony bump at the base of your neck (C7 vertebra) to the spot on your spine that is just behind your belly button. PLEASE NOTE: The sizing depicted here is specific to the items listed below and does not reflect optimal sizing options for new product moving forward. For more information, see here. 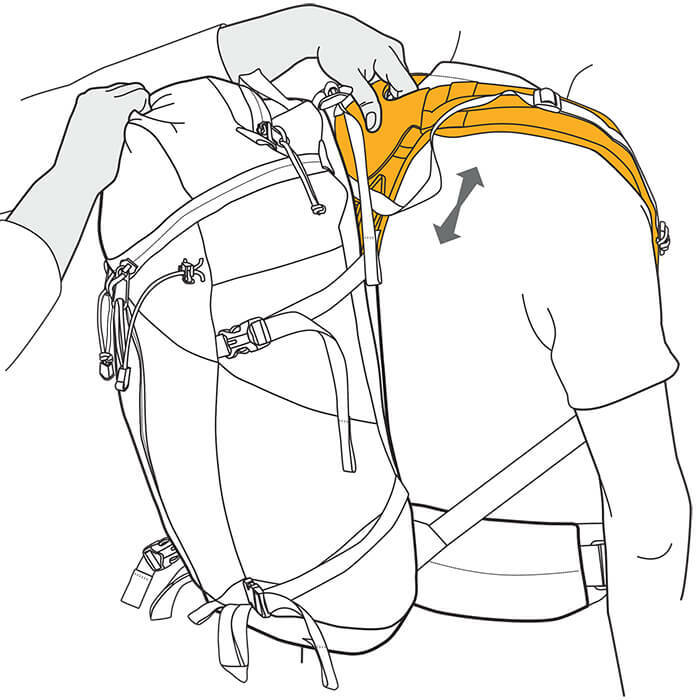 Our packs are adjustable and height can be used as a general guide for sizing. For greater accuracy, please use torso and waist measurements.